Figi's® Pistachio Lover's Mix is expertly blended for the finest nibbling! It's said that the Queen of Sheba decreed pistachios an exclusively royal food, and even forbid "commoners" from growing them. Well, she's gone now, so eat as many as you want. And with these, you'll want to. 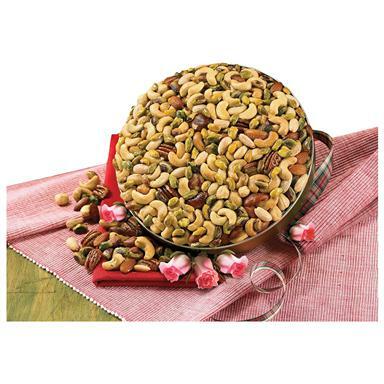 Delicately roasted and salted pistachios mix with a blend of buttery cashews, crunchy peanuts, almonds, mammoth pecans, midget Brazils and blanched filberts. 8 oz.